Books and Their Covers | Small, but valuable. People say not to judge a book by its cover, and I happen to think that those people are wrong. Now I’ll tell you why. Yeah, not a military thriller. Covers being useful measures of a book: 1. Having an open mind: 0. If you do know who Zane is, you also know that I picked that book because her other book titles make me blush. 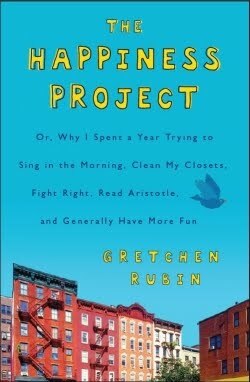 Book number two is The Happiness Project by Gretchen Rubin. The title (and extremely wordy subtitle) are pretty dead give-aways in this case, but consider the cover, too. You can tell right away that this is a book about a creative person living in a big city. Add the title, and you’ve got everything you need to know without reading the description on the inside flap. It wants to be quirky, current, and cheerful. 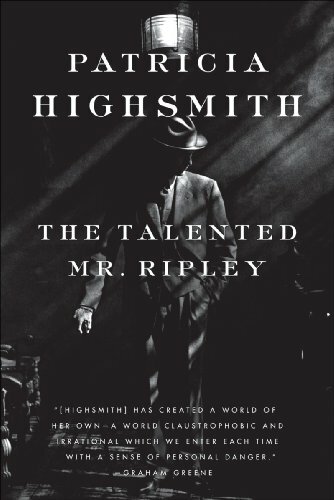 Book three was one of my most recent reads, The Talented Mr. Ripley by Patricia Highsmith. Given only the title and no background, I might have guessed any number of possible topics. Who knows what in the world Mr. Ripley is good at. With the help of the cover, I now know that Mr. Ripley is good at something decidedly shady. He certainly isn’t going to win any awards for his shining conduct. And if I had to guess, I would say it’s at least a slightly literary book set in the 1940’s or 50’s. Check out that serious cover. Right and right. There are standard designs for different types of books. Chick Lit, which isn’t known for its serious nature, usually involves bright colors and pictures of pretty shoes or something along those lines. Mysteries tend to use primary colors, navy, or black for their covers. Classics have old paintings on the cover or creamy backgrounds. Literary attempts go with artistic covers and/or try to blend in with the classics–muted colors and all that. Romance novels are the easiest to spot. Most of them in the library’s large type collection have hot pink spines. Subtle. The paperback romances are almost as easy to spot. Look for lots of skin and there you are. Even the finish of a book can tell you what the publishers are going for. Is there a matte finish on the cover? Either someone dies in the book or they’re making an effort to go in a serious direction. I don’t think I’ve seen any thrillers with matte finishes. Where would I be without book covers to guide my reading choices? Well, I might have picked up Afterburn when I wanted to find out more about jet engines. It wouldn’t have been pretty. There would be embarrassed stammering and an awkward scramble to get the book back on the shelf as quickly as possible. Although one of the nice things about being a librarian is that people always assume you’re looking at books for other people. So my advice? Judge away. Maybe just don’t judge exclusively by covers. Occasionally pick up a book that looks like it might not be in your preferred genres. You might be surprised, but in general, you’ll be right.